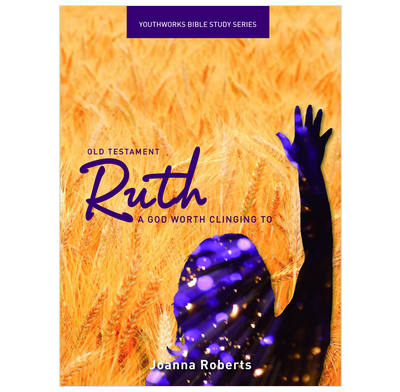 Through the lives of Naomi, Ruth and Boaz, we see ordinary people trusting in an extraordinary God. Do you ever struggle to see hope in difficult times? Do you ever wonder what ‘Hollywood romance’ has to do with Old Testament kinsmen redeemers, or with God’s design for love? Do you ever feel too small to be part of God’s plan? Includes a leader's guide and free downloadable slideshow available from the Youthworks website. More than ever, young people today need answers to life's big questions. The Youthworks Bible study series is designed to challenge and encourage young people to be confident in their faith in Jesus in a changing world. The studies have been written by experienced youth leaders and are arranged into one of three categories - Old Testament, New Testament and Topical - for a clear overview of the Christian message. Great Bible Study materials - lots of fun stuff (e.g. the amazing lego slideshow) to draw the youngsters in, really interesting, helpful questions to keep them engaged and great challenges to go deeper.